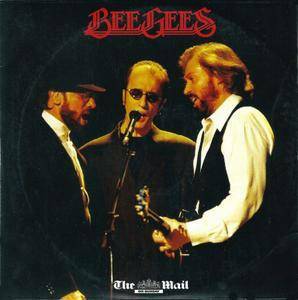 Their Greatest Hits: The Record is the career retrospective greatest hits album by the Bee Gees, released on UTV Records and Polydor in November 2001 as HDCD. The album includes 40 tracks spanning over 35 years of music. Four of the songs were new recordings of classic Gibb compositions originally recorded by other artists, including "Emotion" (Samantha Sang), "Heartbreaker" (Dionne Warwick), "Islands in the Stream" (Kenny Rogers and Dolly Parton), and "Immortality" (Celine Dion). It also features the Barry Gibb duet with Barbra Streisand, "Guilty", which originally appeared on Streisand's 1980 album of the same name. 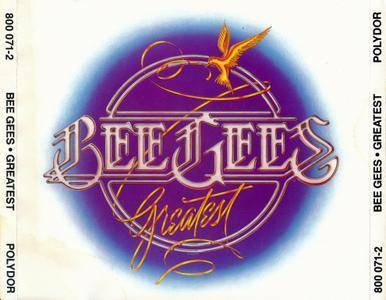 It is currently out of print and has been supplanted by another compilation, The Ultimate Bee Gees. This DVD has never been officially released on video in any form, though bootlegs have circulated for years. Rarities. 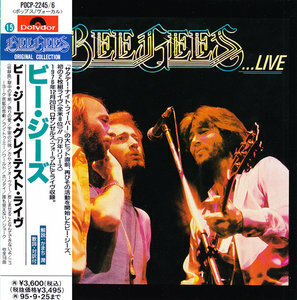 Here at Last… Bee Gees… Live is the sixteenth album and the first live album by the Bee Gees. It was released in May 1977. It reached No. 8 in the US, No. 8 in Australia, No. 1 in New Zealand and No. 2 in Spain, and sold 4.6 million copies worldwide. 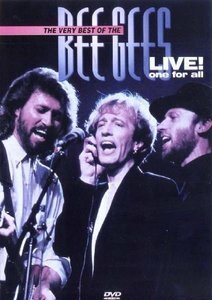 Here at Last was the first official live recording released by the Bee Gees, though many bootlegs have existed throughout the years of earlier performances. The Very Best Of The Bee Gees Live, from the band's One For All tour, marks the brother's triumphant live return after a 10-years absence from the concert stage. This stunning, digitally recorded concert was lit by award-winning designer, Alen Branton, and was shot with more than 16 cameras. 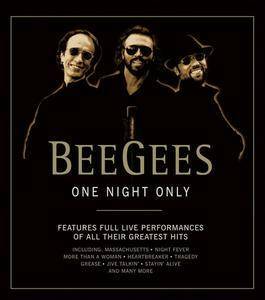 Recorded live at the National Tennis Centre in Melbourne, Australia, the show is a joyfulelebration of 27 multi-platinum Bee Gees hits spanning more than 20 years. 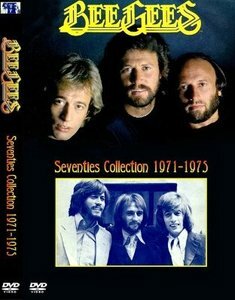 Additional materials in the DVD include a Bee Gees discography and a career timeline. This CD was given away free with the British national newspaper, The Mail On Sunday. Companies/organisations mentioned on CD & sleeve: "Upfront", "Reprise Records", "Respect The Value Of Music". 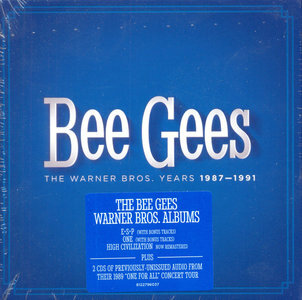 All tracks are taken from the Bee Gees live albums "One Night Only" & "Here At Last". In its original form, this double-LP compilation was a very generous repackaging of four years' worth of hits and notable album tracks, plus the Andy Gibb-authored "(Our Love) Don't Throw It All Away." It was a perfect distillation of the sound that had put the Bee Gees on top of the pop music world from 1975 onward. At the time, it did elicit some unspoken resentment from older fans who knew their hits from the 1960s, but as a collection of first-rate '70s dance music it was unimpeachable. 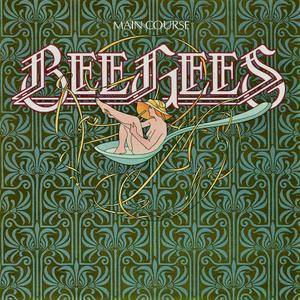 Many regard "Main Course" as the Bee Gees finest moment. Following on from the groundwork the Bee Gees put in place the previous year with Mr Natural, with the "Main Course" album everything fell into place. The guys were back in the studio with Arif Mardin, but this time the guys had written an album with this style in mind. The outcome was breathtaking, proving yet again that the Bee Gees song writing is the key to their success. When sensational songs are matched with strong vocals and cutting edge production, as they are on this album, the result is a triumphant collection of songs that would do more than relaunch the group as a best-selling artists, it would eventually send their star higher than it had ever been and ultimately change popular music forever.